It’s only one month into the year so it’s still OK to have a long list of resolutions and to make a set of promises. Even the captains of industry are on the same tip actually. As far as promises and expectations in local tech are concerned, TelOne has got me excited the most. 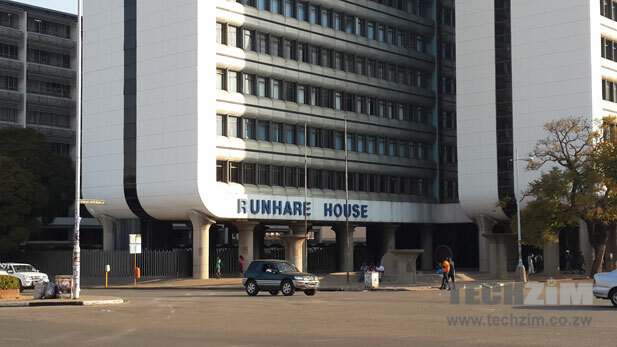 Chipo Mtasa, the Managing Director of the State fixed telecoms operator, displayed pragmatism a few weeks ago when she referenced an internet-first over voice strategy that TelOne has adopted. It sounded a lot like the parastatal was trying to come out ahead of the tech curve. Now, according to a new report in Zimbabwe Daily, Mtasa has shared some details of the TelOne fibre project that is aimed at introducing Fibre to the Home (FTTH). Currently the initial phase of the project is now 60% complete and should be complete by the end of 2015. This fibre extends to areas like Harare, Bulawayo, Mutare, Kariba, Masvingo and Gwanda. It is set to reach outlying towns like the border town of Beitbridge. TelOne has set a target of 20,000 household fibre connections through the Gigabit Passive Optical Network (GPON). As far as use of resources of concerns and adapting to the future is concerned this should have honestly happened a long time ago.TelOne has the second largest fibre network in the country after Liquid Telecoms. It is not the kind of infrastructure you sit on. In the latest POTRAZ industry report this infrastructure was registered as 2,541 km, a figure surpassed by Liquid’s 2,900 km total but leagues ahead of Powertel and Africom with 950km and 520km respectively. The figures have changed in the past quarter but you get the idea here. TelOne has set up all this massive infrastructure so making a move for the final connection to the home should have been a priority of sorts. This is what Liquid and ZOL have been largely focused on lately, through products under the ZOL Fibroniks suite which takes advantage of all the digging that Liquid has been taking responsibility for all over town. This isn’t a two horse race either. Even if we take Liquid and ZOL out of the picture, other service providers like iWay, YoAfrica and Telco have been providing fibre solutions. All their users represent potential clients that TelOne could have had under fibre services, but instead it has been offering them ADSL technology. With its 38,640 ADSL subscribers TelOne also has the largest fixed internet service subscriber base. It also services over 300,000 voice subscribers through home copper connections. These are other clients that it should have been reaching out to with Fibre services. To be fair though this company is still hamstrung by bureaucracy. This perhaps explains the somewhat modest target of 20,000 connections fibre connections, which is less than half of ZOL’s 100,000 homes target for 2015. Currently ZOL is pushing about 80 new fibre connections a week, a number that is likely to increase because of it’s new lower priced packages and a roll-out in both the high and low density areas. These are two major considerations that TelOne will have to make if it wants to have an impact in the fibre arena. Unlike ADSL, there is no monopoly here and in as much as it is open season, TelOne is chasing a market leader who moves at a quick pace sans the political/factional redtape. Ironically this government involvement is what has given TelOne some sort of edge actually. Funds for this Fibre Project are a loan extension from China, our government’s friends that have made other projects like NetOne’s LTE (which I think would have been pie in the sky) a reality. Even our current Minister of ICT, Supa Madiwanzira recently mentioned how Zimbabwe stands to benefit immensely from firm Chinese relations. As far as LTE and TelOne Fibre is concerned this is paying off at least. Other fibre infrastructure players like Africom aren’t as privileged. Has the evolution of tech poked the bear? There is every reason to consider TelOne as the sleeping giant in local technology. Even though It is way too early to brand the fixed operator as a turnaround success, there are lot of nuts and bolts that need to be tightened and as a State Owned enterprise, its biggest shareholder is far from innovative and adaptive. However the opportunities this fibre can bring cannot be dismissed. Looking beyond the fast internet connections for home use there are other potential services like public WiFi centres for the 99% of Zimbabwean internet users on that are on mobile devices. Then there is the delivery of VoIP services, something that makes sense coming from the guys who first introduced all of us to voice calls. This is something that ZOL has now moved into, packaged together with fibre. Perhaps TelOne could consider the same approach? Another greenfield lies in entertainment. Fibre services can open the doors to IPTV, something that is a bit thorny to discuss for private players because of State licensing and approval from the powers that be. TelOne is however owned by “Big Brother” so a lot is within reach IF it is well played. I hasten to think that Chipo Mtasa might be the person to do this though. If we dial the clocks back exactly 2 years to 2013 when she took over at TelOne, there was a litany of challenges that included TelOne’s huge debt, cries of slow response time for setups and service as well an ADSL service that wasn’t ready to go toe to toe with anything else in internet services. Fast Forward to 2015 and TelOne is eyeing fibre services by year end, there are glowing reports on internet speed and pricing (I’m not an ADSL subscriber but check out the comments here and here ), some changes were made to the team and more importantly there’s a handle on debt. It turns out the fibre project is getting partial funding from capital recovered from debtors that included (surprise surprise) government departments. There is still a lot be done to move from the under-performing parastatal to a company of the future that has a pulse on internet services but It’s evident Mtasa has done a lot of the work right so far. Perhaps she will be in a position to parlay whatever successes TelOne has had in the past 18 months and from it’s new fibre service to be the one state telecoms operator that tries the hardest. I agree with you there. My comparison however was based solely on their presence in the same FTTH space. I should have made that distinction. Interesting. I think Tel One have a good chance based on one thing and one thing alone. They are opening up manholes that were not in use and pulling fibre like there is no tomorrow. For instance just yesterday they had opened up the man holes going past state house and were pulling in new fibre. They did the same excercise closer to Borrowdale Village as well just to cite two examples. This shows that their ducts have space for expansion. They probably implemented the old Liquid Style (Red, Yellow and Blue) One maintenance, One live and One spare duct. Either way however way they laid their ducts this will allow for speedy deployment. They also have the benefit of calling upon their brothers and sisters at ZETDC and Powertel for assistance using the fibre that was used for rail and also for overhead aerial span. The overhead would only be required where they do not already have poles. I am rooting for Tel One simply because it has been a nightmare getting fibre to my home. When I finally got it, i paid an arm and a leg and i still pay an insane last mile charge. Tel One will have the ability to capitalise on customers such as myself whose internet bill easily runs over the $600 mark and in areas like my particular area where every single house in the road is serviced by either WiMAX or ADSL. If you are reading this Ms Mtasa I suggest two things. 1. Offer a bundled service and talk to Net*One about offering data via GPRS/EDGE/UMTS and a home connection say a 100Gb package that is split 90Gb home and 10Gb mobile for arguments sake. 2. Quickly and I mean quickly snap up the opportunity to be progressive. Offer a soft cap on your packages as opposed to unlimited. Letting me use xxGb and then throttling me down to 64k/128k etc on a 10Mbps package that provides CIR for the initial limit will give you a competitive edge. I say this because some of us need CIR even if its for the first Gigabyte or whatever it may be for things like tele conferences, CCTV footage downloads and one of events through out the month. Be it internet printing wages, newsletters etc, obtaining HR information such as time and attendance and sending wages to the likes of Belina. Windows updates to a Windows SUS server to mention a few. An interesting metric to note. Where I stay there is a combination of ADSL and WiMAX in almost 50% of the households. A sign of desperation where uptime is key but speed is essential. ADSL providing the uptime WiMAX providing the speed when it is up. typo : TelOne’s LTE – for a moment i got excited! Lol! Sorry about that! Thanks, we’ve fixed the typo. I used to work overseas for a company that installs PBX telephone systems several years ago. Telone still has some services in their telephony product which they totally skipped. Caller ID and hunting lines (having several lines on the same phone number) for example would have been nice. We never had that, and with this internet focus its kinda sad that such nice little refinements will probably never see the light of day. I would so love caller ID on my landline. GO FORTH WITH DATA PRODUCTS, BUT THERE ARE STILL SOME THINGS LEFT TO DO WITH VOICE. No they don’t have hunting lines – I’ve checked several times. Or if they have, they don’t offer it. ADM you can use open source based Asterisk soft switch and get some digium cards for the lines from Telone.